Is Going Paleo And Buying Organic Food Really Worth It? Whether you have fully embraced Paleo diet or not, there is no denying the fact that the alarming increase of mortality rate brought about by poor food choices demands everyone to pay more attention to the quality of food intake. More so today with majority of food products laden with chemicals, preservatives and additives that are identified as the main culprit behind cancer and other diseases. 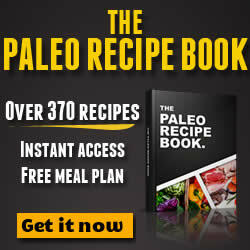 As you may have already known, Paleo diet calls for the consumption of fresh, whole and unprocessed food products. On top of any Paleo food list you will find the need for organic food – from meat, fish to plants. But in view of the rising cost of food and the recession, you may be wondering, is organic food really worth the extra expense? However, health is something that you definitely want to invest in, right? Now, the good news is, you can actually stick to your Paleo diet and buy organic food products without busting the budget. Read on and find out how you exactly you can manage that. What does organic mean? 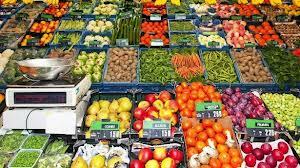 Organic food are those that are grown without any use of herbicides, pesticides and chemical fertilizers. In the case of animal food products, organic pertain to those that are not genetically engineered. Buying organic food products actually makes a lot of sense. A number of studies have supported the fact that organic foods offer more nutrients, which consequently mean greater health benefits. In fact, in a study conducted by UK's Newcastle University's School of Agriculture on rats, those who were fed with organic diet were found to have stronger immune systems, less body fat and lower weight. In addition, with the organic diet, the rates were observed to sleep better and are appear calmer. The choice to invest in organic food means avoiding the consumption of thousands of toxins that are found in most commercial and processed food products. It is a well-known fact that factory farms products better yields sold at cheaper prices compared to organic farms. However, commercial agriculture is also a breeding ground for toxic laden products. Aside from pesticides heavily used in food production, conventional farming is also found to leech heavy amounts of metals such as mercury and lead that inadvertently go into the food. In addition, most of these products undergo processing, wherein solvents are used to dissolve food components and food additives are also used — all of which are closely linked to different forms of cancers and other life-threatening diseases. This brings us to the fact that just because you are feeding your body with fresh vegetables and fruits, it doesn't mean you are making smarter food choices. You may be slowly poisoning yourself if these are non-organic. Whatever food in consume can heavily impact our health and if you want to take care of your body, then you definitely don't want to compromise quality and skimp on organic food choices. Now, a lot of people share a common perception that Paleo diet is expensive. My answer to that is — well, it CAN be expensive but it DOESN'T have to be. Paleo diet on a budget is very possible. In particular, let us look into how you can save money when buying organically grown food products. 1. Shop and compare prices. Organic products tend to greatly vary from one store to another. 2. Choose to buy at the farmer's market and purchase in-season food, particularly those locally grown and organic produce. You can buy them at almost half the cost. 3. Explore the idea of growing your own organic vegetables and herbs. Why not, right? Use planter boxes and containers and unleash that green thumb in you. 4. Collect coupons. This is not exactly a brand new idea but collecting coupons is one of the great ways to save money on grocery. 5. Go for generic. Most major supermarkets carry their own respective line of USDA certified organic products that are under their private name. So the next time to do your groceries, look for these. You don't have to visit a specialty store, as natural foods store are known to sell more expensive organic brands. Now that you have a better idea how you can embrace Paleo diet and buy organic food without busting your budget.